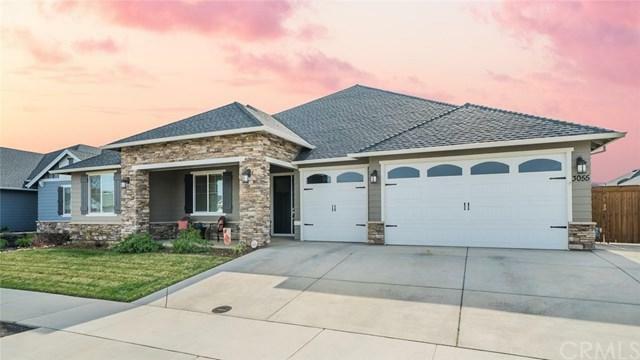 Absolutely stunning home in North Chico with OWNED SOLAR, RV PARKING, 3 CAR GARAGE, 4 spacious bedrooms, 2.5 bathrooms with tons of beautiful upgrades! This amazing open floor plan is only 1 of 4 built by Epick Homes and features trey ceilings, tons of picture windows bringing in great natural light, plantation shutters and a cozy 2-WAY FIREPLACE with stone surround & chunky wood mantle. 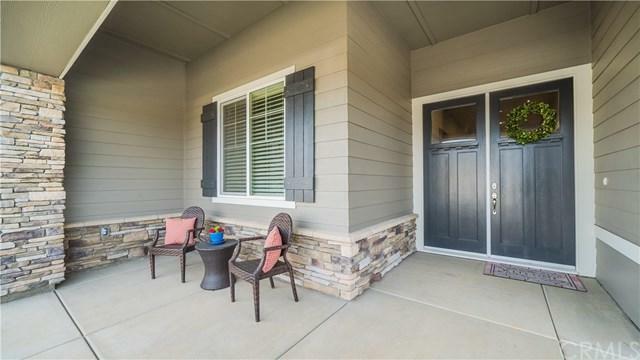 Stunning open kitchen with granite counter tops, travertine tile backsplash, dark stained cabinets, double oven, and st Absolutely stunning home in North Chico with OWNED SOLAR, RV PARKING, 3 CAR GARAGE, 4 spacious bedrooms, 2.5 bathrooms with tons of beautiful upgrades! This amazing open floor plan is only 1 of 4 built by Epick Homes and features trey ceilings, tons of picture windows bringing in great natural light, plantation shutters and a cozy 2-WAY FIREPLACE with stone surround & chunky wood mantle. Stunning open kitchen with granite counter tops, travertine tile backsplash, dark stained cabinets, double oven, and stainless steel appliances. Kitchen features an island, a dining area, walk-in pantry & additional area with extended cabinets for extra storage. The spacious master bedroom has plenty of windows, a glass door with access to the backyard, large walk-in closet and a huge en-suite bathroom featuring a walk-in shower, his and her sinks sitting on beautiful dark stained vanity with granite counter top. 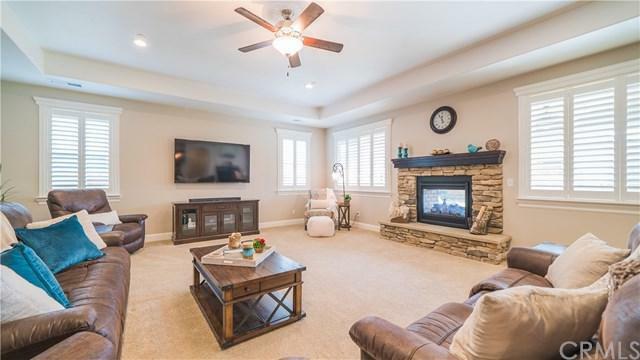 Desirable split floor plan with the 3 additional bedrooms on the other side of the home, all spacious and feature carpet, ceiling fan, tall baseboards and upgraded paint. Other features include 6.5 KW owned solar system (large enough to cover your new pool once installed), nest thermostat system, hardwood-looking tile floors and designer lights throughout. The backyard features raised garden beds, raised herb garden, more than enough room for a POOL, peach/lime/lemon trees, large covered patio with additional concrete and TWO outdoor ceiling fans! 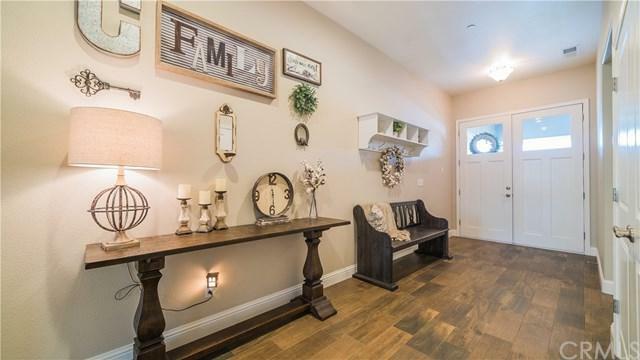 This turn-key home is move-in ready. Listing provided courtesy of Keller Williams Realty Chico Area. Listing information © 2019 San Diego MLS, Inc.